“On International Day of Zero Tolerance for Female Genital Mutilation we confirm our firm resolve to put an end to this practice which is painful, traumatic and causes long-term health consequences. A practice that is nearly always carried out on children. A practice that is a fundamental human rights violation and an extreme form of discrimination against women and girls. Despite the efforts of the European Union and its partners, 200 million girls are still suffering from this violation, which occurs in all parts of the world. It is estimated that the same number of girls are at risk of undergoing this practice by 2030. In Europe itself, girls are still today subject to this illegal practice. The Commission works on its prevention by training professionals, such as judges, asylum officers or doctors who are in contact with girls at risk. We have put laws in place, to ensure that there can be no impunity in Europe for this practice. Female genital mutilation is a crime in all EU Member States and in most of them a person, who bring girls outside the EU to be mutilated can be prosecuted. Finally, the victims of such practices benefit from a high level of protection in the EU. At the international level, together with the United Nations, we have launched an unprecedented initiative – the Spotlight Initiative – to eliminate all forms of violence against women and girls. Through this initiative, we will focus in particular on our efforts to fight female genital mutilation in Sub-Saharan Africa, a region where this practice is still prevalent. Through these actions we provide direct and targeted support to the victims of such harmful practices. 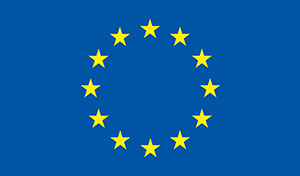 The European Union will continue to work with all those determined to abolish female genital mutilation: parents, activists of all ages, including young girls, doctors, teachers, healthcare professionals, child rights and human rights advocates, judicial authorities, political, community and religious leaders and governments. We will also continue building strong partnerships through bilateral, as well as multilateral cooperation. All UN bodies and Special Representatives of the UN Secretary-General, all regional organisations – in particular the African Union – and civil society are our partners in the shared efforts towards a safer world for women and girls, which will lead to more resilient, peaceful and inclusive societies. Female genital mutilation/ cutting affects the lives and health of girls and women inside and outside the European Union, every day. Medical evidence shows that this practice can seriously impact many normal body functions, increases maternal and infant mortality, and can also cause lifelong trauma beyond the physical damages. Such forms of physical violence prevent women and girls from meaningfully participating in public life to the same extent men do. Female genital mutilation/ cutting has huge costs for societies. Effective change to this practice requires prevention work at community level. This is why the EU is actively supporting social change in local communities, and networks operating regionally and internationally. We facilitate learning between stakeholders, including governments, on prevention, victim support, prosecution and asylum for victims, through providing methodologies on measuring prevalence and risk, and by offering practical tools for professionals via a web-based platform. The EU also provides a continuous support to UNICEF – the UN International Children’s Fund – and UNFPA – the UN Population Fund – to accelerate change in 17 countries. This action is instrumental in accompanying partner countries to adopt national action plans and budget lines to put an end to the practice. At the same time, it provides support to more than 1.5 million girls and women to access protection and care services, and encouraging more than 3,000 communities representing 8.5 million individuals to make public declaration of abandonment. We remain committed to the full implementation of the 2030 Agenda for Sustainable Development, which addresses female genital mutilation through its Goal number 5 on Gender Equality and specific target 5.3 on the elimination of harmful practices. To find out more about Female Genital Mutilation and what the European Union is doing to eliminate this practice, see the Q&A and the website of an EU-wide training platform. To promote the platform and explain more about Female Genital Mutilation, the European Commission releases a series of videos today: one for professionals and five short clips for the general public. The NON.NO.NEIN.campaign (see #SayNoStopVAW) aims to share information and showcase success stories about the important work that is being done in this field across the EU. Spotlight Initiative– a new, global, multi-year initiative of the EU and UN focused on eliminating all forms of violence against women and girls. More information is available on the European Institute for Gender Equality (EIGE) website.